Access controlled doors and mechanical keys – Why manage two systems in parallel? A mechanical master-key system is expensive to run, with high key management costs and little flexibility for you to change user rights. Losing a master key means replacing mechanical cylinders and keys across your facility. There’s no shortcut. How many replacement keys did you order last year? Every lost key costs you time and money. Stolen or copied physical keys are a constant security risk, with no electronic audit trails and no way to replace them instantly. The solution? Forget about keys and upgrade door security with Aperio wireless locks. 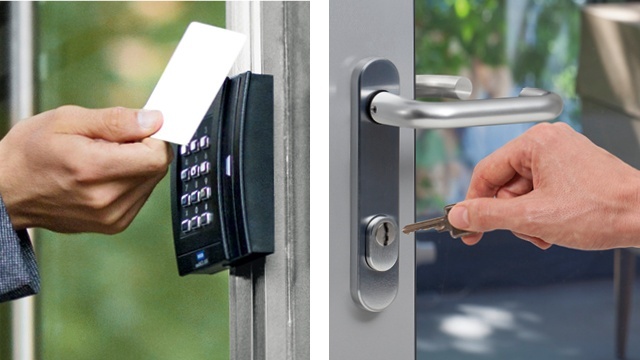 If you are running an access control system in parallel with a master-key system, choose Aperio to operate more doors via card access control. For anyone running an access control system in parallel with a master-key system, choose Aperio to operate more doors with access cards. Convenient. One access card for all your doors. Doors only need to be fitted with battery-powered Aperio wireless locks with integrated RFID readers. You just link all Aperio handles, cylinders, escutcheons and security door locks to your card access control system. Simple. 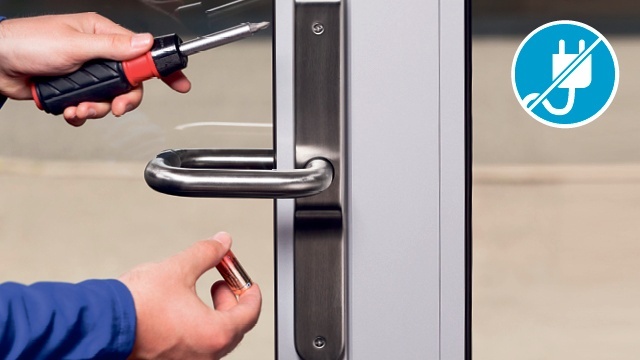 It’s so easy to upgrade a mechanical door with an Aperio wireless lock: install the battery-powered lock with minimal disruption at the door. No wiring is needed. Secure. As a result, your security and facility managers have greater control, can easily respond to organisational changes and only need to monitor a single access card system. 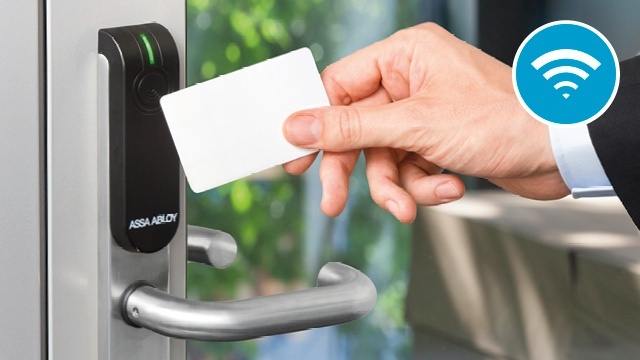 Users carry one access control card to open all RFID door locks at your site. download the brochure with technical information. Aperio is the cost-efficient solution for many access control applications. 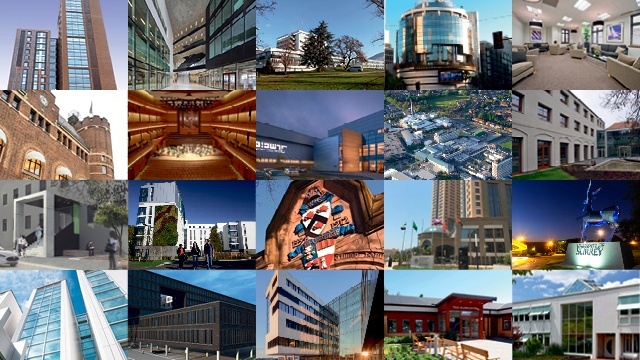 Customers have implemented Aperio in offices, hospitals, universities, museums, research facilities, events venues, and many other premises. 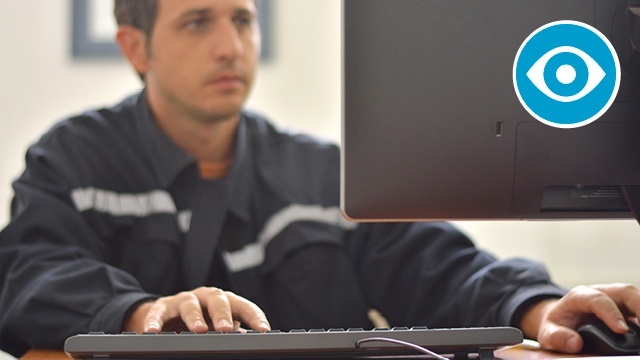 Want to know how Aperio will help to increase security and save costs for you? 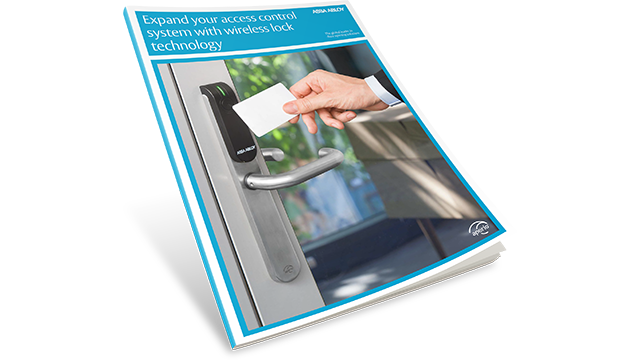 You can save time and money with a keyless locking system and wireless access control. Download our free brochure to learn more.